Put your zzz's into overdrive. 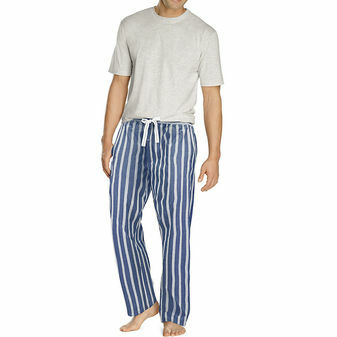 Soft cotton blend pant for added comfort. 2-button waist with adjustable drawstring. Tag-free pants for added comfort. Side pockets. 31-inch inseam. Short sleeve cotton blend top.